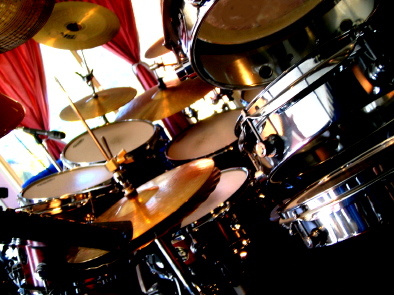 "Drumset Duets - Volume One" contains fifteen "Two Drumset Adaptions" of drumset solos from my MMDC Drumset Manuals Preliminary to Grade Two. Designed to provide interesting drumset music for the student and teacher, two mates in a garage, schools concerts and performances. This 30+ page book closely follows the solos set out in the MMDC Drumset Examination Syllabus and Manuals; so rather than "learning a new piece of music"; you are adapting something you may well have already studied .... pretty nifty huh?